THE contractor behind the Edinburgh Trams project has broken its silence to state that it intends to “fully support” the public inquiry in the belief that it will vindicate them in their role in the controversial £1 billion project. German firm Bilfinger Berger were barred from speaking publicly during the project but are now keen to break their silence at an inquiry. 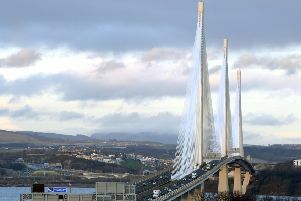 The firm set up to deliver the project - Transport Initiatives Edinburgh (TIE) – is now defunct but former TIE chairman David Mackay, previously branded Bilfinger Berger a “delinquent” contractor. Last week First Minister-in-waiting Nicola Sturgeon granted increased powers to the inquiry with a view to forcing witnesses to give evidence – with those who refuse facing prison. This comes after inquiry chairman Lord Hardie complained that witnesses had failed to co-operate with the probe into the mismanaged tram project. Ms Sturgeon said the inquiry would be given statutory powers to call witnesses, describing the refusal to co-operate as “unjustifiable”. This means if any of those called upon continue to refuse to help, they could face up to six months in jail. It was understood that one of the reasons behind the choosing of an initial non-statutory inquiry was that it would “leave the door open” for possible legal action against the German contractors. However council chiefs have since sought secondary legal advice and been assured that a new beefed-up statutory inquiry still does not hamper them in this.